Not all shoulder pain arises from the shoulder. Sometimes pain from the heart can be referred to the shoulder, and pain from the gallbladder or diaphragm can also be felt in the shoulder region. 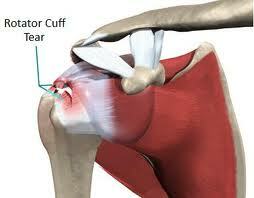 Pain from a rotator cuff injury is worsened with shoulder movement.